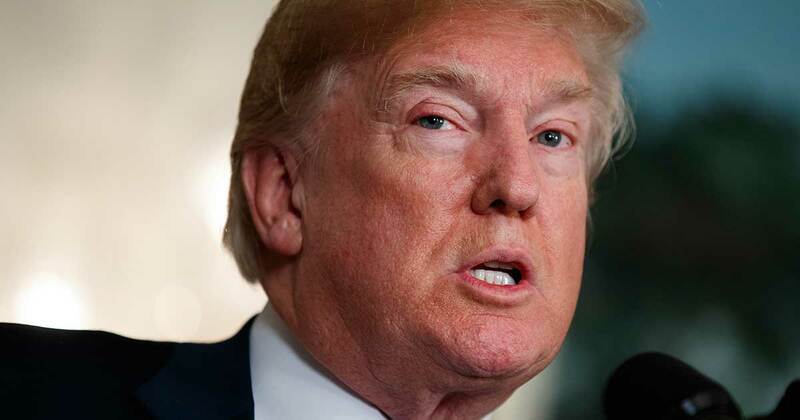 United Nations: North Korea's top diplomat said Monday that a weekend tweet by US president Donald Trump was a "declaration of war" and North Korea has the right to retaliate by shooting down US bombers, even in international airspace. It was the latest escalation in a week of undiplomatic exchanges between North Korea and the US during the UN General Assembly's annual ministerial meeting. 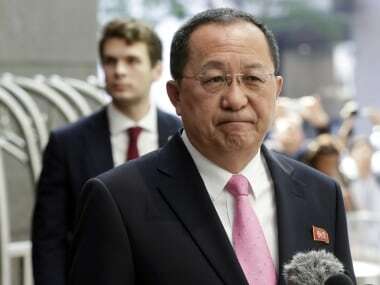 Foreign Minister Ri Yong Ho told reporters that the United Nations and the international community have said in recent days that they didn't want "the war of words" to turn into "real action." But he said that by tweeting that North Korea's leadership led by Kim Jong-un "won't be around much longer," Trump "declared the war on our country." Under the UN Charter, Ri said, North Korea has the right to self-defence and "every right" to take countermeasures, "including the right to shoot down the United States strategic bombers even when they're not yet inside the airspace border of our country." Hours later, the White House pushed back on Ri's claim, saying: "We have not declared war on North Korea." 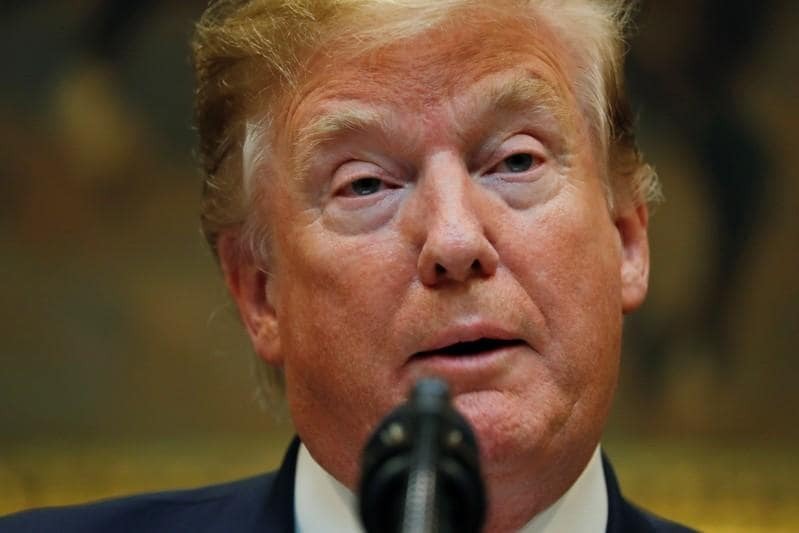 The Trump administration, referring to the tweet, stressed that the US is not seeking to overthrow North Korea's government. US Cabinet officials, particularly Secretary of State Rex Tillerson, have insisted that the US-led campaign of diplomatic and economic pressure on North Korea is focused on eliminating the pariah state's nuclear weapons program, not its totalitarian government. But the more Trump muddies the picture, the tougher it may become to maintain cooperation with China and Russia, which seek a diplomatic solution to the nuclear crisis and not a new US ally suddenly popping up on their borders. It also risks snuffing out hopes of persuading Kim's government to enter negotiations when its survival isn't assured. Trump tweeted Saturday: "Just heard Foreign Minister of North Korea speak at UN. If he echoes thoughts of Little Rocket Man, they won't be around much longer!" Trump also used the derisive "Rocket Man" reference to Kim in his speech to the UN General Assembly on 19 Sept, but this time he added the word "little." This was not the first time North Korea has spoken about a declaration of war between the two countries. In July 2016, Pyongyang said US sanctions imposed on Kim were "a declaration of war" against the Democratic People's Republic of Korea — the country's official name — and it made a similar statement after a new round of UN sanctions in December. The North Korean leader used the words again Friday. The foreign minister's brief statement to a throng of reporters outside his hotel before heading off in a motorcade, reportedly to return home, built on the escalating rhetoric between Kim and Trump. 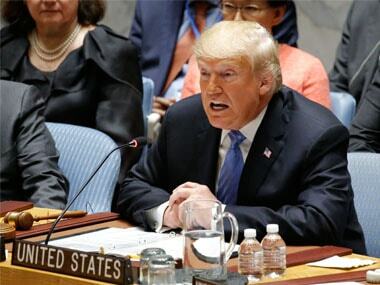 "The United States has great strength and patience, but if it is forced to defend itself or its allies, we will have no choice but to totally destroy North Korea," Trump told world leaders 19 September. "Rocket Man is on a suicide mission for himself and for his regime." Kim responded with the first-ever direct statement from a North Korean leader against a US president, lobbing a string of insults at Trump. "I will surely and definitely tame the mentally deranged US dotard with fire," he said, choosing the rarely used word "dotard," which means an old person who is weak-minded. "Now that Trump has denied the existence of and insulted me and my country in front of the eyes of the world and made the most ferocious declaration of a war in history that he would destroy the DPRK, we will consider with seriousness exercising of a corresponding, highest level of hardline countermeasure in history," Kim said. On Monday, Ri escalated the threat by saying Trump's weekend claim that North Korea's leaders would soon be gone "is clearly a declaration of war." All UN members and the world "should clearly remember that it was the US who first declared war on our country," the foreign minister said, adding that North Korea now has the right to take counter-measures and retaliate against US bombers. Ri ended his brief remarks by saying: "The question of who won't be around much longer will be answered then." Military manoeuvres by the US and its allies are adding to tensions along the two Koreas' heavily militarised border. In a show of might, US bombers and fighter escorts flew Saturday to the farthest point north of the border between North and South Korea by any such American aircraft this century. 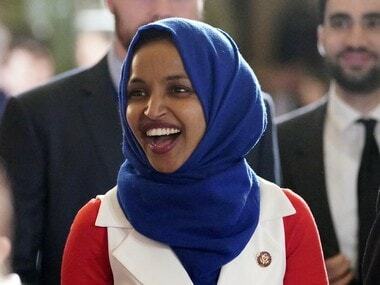 A Pentagon spokesman, Army Colonel Rob Manning, said Monday that the operation was conducted in international airspace and legally permissible. The US has a "deep arsenal of military options to provide the president so that he can then decide how he wants to deal with North Korea," Manning told reporters. "We are prepared to defend ourselves and our allies from an attack and are prepared to use the full range of capabilities at our disposal against the threat from North Korea,"
South Korean foreign minister Kang Kyung-wha called for careful management of the tensions to prevent a conflict that would devastate the region. "It's very likely that North Korea will conduct further provocations," Kang said. "Under these circumstances it is imperative that we — Korea and the United States — manage the situation with astuteness and steadfastness in order to prevent further escalation of tensions or any kind of accidental military clashes in the region which can quickly spiral out of control." "There cannot be another war in the region," Kang said at the Center for Strategic and International Studies in Washington. "The consequences would be devastating not just for the Korean Peninsula but for Northeast Asia and indeed the whole international community." Kang said North Korea's nuclear program seems to be at a "tipping point," approaching the goal of having a nuclear-armed missile that could reach the continental United States. She voiced South Korean support for the US-led strategy of "maximum pressure" on North Korea as a tool to get Pyongyang to negotiate on denuclearisation of the Korean peninsula — not at toppling the North Korean government. "There is still room for diplomacy," Kang said, but "time is running out." North Korea has repeatedly said it needs a nuclear deterrent because the US intends to invade it. Ri told the General Assembly on Saturday that North Korea's recent "ICBM-mountable H-bomb test" was a key step to completing its nuclear force. He called it "a war deterrent for putting an end to nuclear threat of the US and for preventing its military invasion." "Our ultimate goal is to establish the balance of power with the US," he minister said.